The Nelson & District Chamber of Commerce presently has over 500 members. Membership is open to businesses, professionals, associations and private individuals and offers a wide range of benefits. The Chamber year is from January 1st to December 31st. Being in business can be challenging. Let’s face it, generating sales, meeting payroll, serving customers, maintaining inventory, and doing all of this well enough to earn sufficient profit to keep operating, takes a lot of skill and energy. But what makes it easier is being connected to a business organization that understands those concerns, and works daily on your behalf. That’s why we would like to thank you for your interest in becoming a member of the Nelson and District Chamber of Commerce. The Chamber is a volunteer, not for profit organization, that is a strong credible voice for more than 500 small and medium sized businesses in our area. Our goal is to foster growth, and healthy econonomic development, and to work as our members’ number one “business booster” through our advocacy efforts and economic development initiatives. There are many misconceptions about what a Chamber really does. Many believe the Chamber gathers statistics, prints brochures, visits new business, answers community enquiries and advertises what a great place the Nelson region is to live and work. They’re right, but the primary function goes deeper. The Chamber volunteer board and membership work together for the common good of the community. A better community means better business conditions. Working with all levels of government and our community partners, we want to be, and are involved in activities that can give your business, or organization the opportunity to succeed. Through the Nelson Economic Development Partnership we continue to focus on business retention activities, investing in initiatives like the shop local campaign, promoting and developing business educational workshops on succession planning, business valuation, business productivity and human resources issues. We will continue to act as the first point of contact and to build on the Invest Kootenay website, an opportunity for business owners to connect with interested investors, and to provide key economic development and relocation information for those considering, moving or investing in our region. Throughout the year, the Chamber will continue to offer events designed to benefit our membership, including the popular Business after Business networking events, speaker based programs and educational opportunities. Check out the benefits that are included with your membership. They include the very best small business group insurance plan on the market, super competitive Visa/MC/Interac rates that can save a business a small fortune each year, savings on motor fuels & natural gas, to name just a few member benefits. 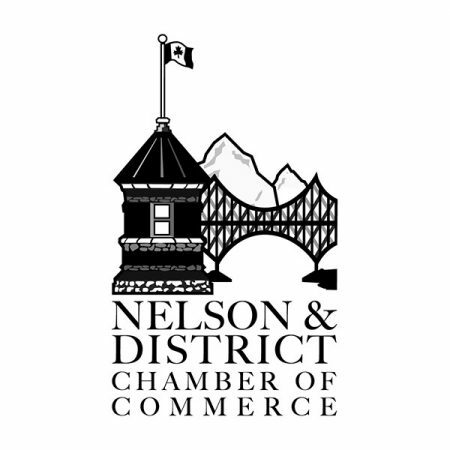 Again, thank you very much for your ongoing support of the Nelson & District Chamber of Commerce. Without members, a Chamber of Commerce simply would not exist. Working together, we can help build a stronger Chamber, and in turn a stronger economic region.